This evening, the Skerries Coast Guard team were tasked to investigate reports of Jetskis acting in a wreckless manner near designated swimming areas on the Skerries coast. Several concerned members of the public had contacted the Coast Guard’s Operations Centre on 999 to report the three jetskis. Remember – if you spot any jetskis or powerboats being operated in a manner or area that might cause a nuisance or danger to other water users including swimmers, contact the Coast Guard on 999 or 112. At 19:48 this evening, the volunteers of Skerries Coast Guard were tasked to investigate reports of an unmanned jetski adrift off the Balbriggan coast. A vigilant member of the public contacted the Coast Guard after spotting the object in the water some distance from the shore. The caller believed the object may have been an unmanned jetski adrift. 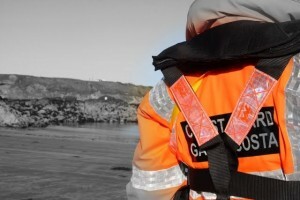 The Skerries Coast Guard team were immediately tasked to investigate the report. The primary concern in such cases is that the driver may have fallen from the jetski at speed and suffered serious injury. 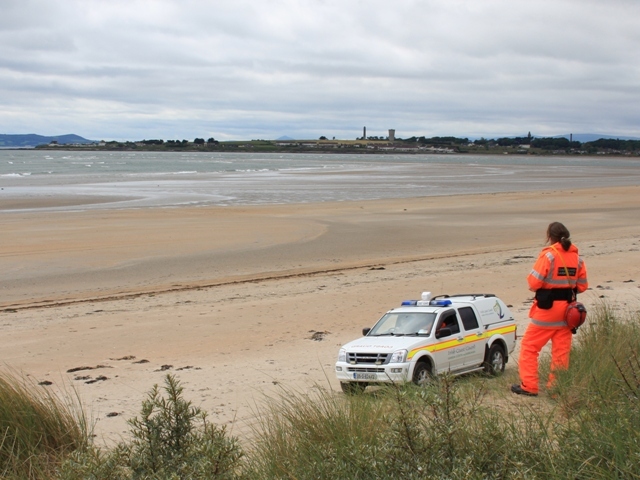 The Skerries team arrived at Balbriggan beach within minutes of the tasking and immediately began a shoreline search. The object was quickly identified and after detailed observation the team established it was a very small leisure craft, with persons on board. The vessel was not in difficulty and no further action was required. Remember – if you spot someone in difficulty on the coast, or even if you only think that someone could be in difficulty, dial 999 or 112 and ask for the COAST GUARD. Do not assume someone else had made the call. At 14:50 this afternoon, the Skerries Coast Guard team were tasked to investigate reports of a Jetski operating close to the North beach, Skerries. Concerned members of the public had contacted the Coast Guard rescue centre, as the jetski was travelling at high speed only metres out from the water’s edge on a popular beach. 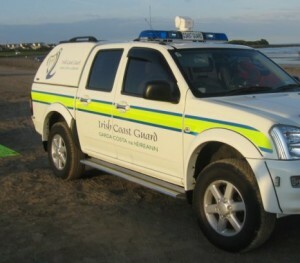 The Howth Coast Guard patrol boat, which was patrolling near Malahide, was also tasked to the scene. After arriving on scene, the Skerries team observed the jetski which, as reported, was travelling in excess of the designated speed for the area. The team briefed the owner on the relevant regulations and bye-laws concerning the use of jetskis.